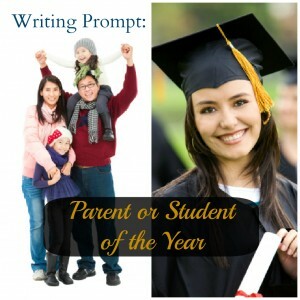 Write a letter nominating one of your parents (or both) for a prestigious Parent of the Year award. Or, if you prefer, you may instead nominate a friend or sibling for the Student of the Year award. The letter will be read by a committee who will make its decision based on what you write. The purpose of this assignment is to persuade. Do your best to convince the committee that your candidate is the best around. Think carefully about the points you want to make and provide details and examples to help support your case. There’s no single right way to do this, but a tried and true method is the three-part paper: introduction — body — conclusion. The body of your paper is all the paragraphs between the introduction and the conclusion. The body will contain the reasons you believe your nominee should win the award. Come up with at least three good reasons and write about each of them in a separate paragraph. We call these reasons supporting points. A good supporting point for why Sally Smith should be Parent of the Year might be that she is exceptionally patient. So, one paragraph in the body of the paper would be about how patient she is. You’ll have to explain why you think she’s patient, of course, so the paragraph should talk about at least one or two situations that reveal her patience — like the time you dropped the Thanksgiving turkey on the carpet, and she didn’t kill you, for example. Do this for each supporting point — one paragraph per point. Wrap up your paper with a concluding paragraph. Don’t add any new reasons for giving the award to your candidate in the final paragraph. Just use that paragraph to summarize. Don’t repeat the exact words you’ve already used; say the same thing a different way (for example: “Sally Smith is the best mom ever and deserves this award.”). A great conclusion also leaves the reader with something to remember. This strategy for writing a persuasive essay works just about all the time. Keep this organization plan in mind as you write. Bloggers love comments. Help make my day by posting yours below.